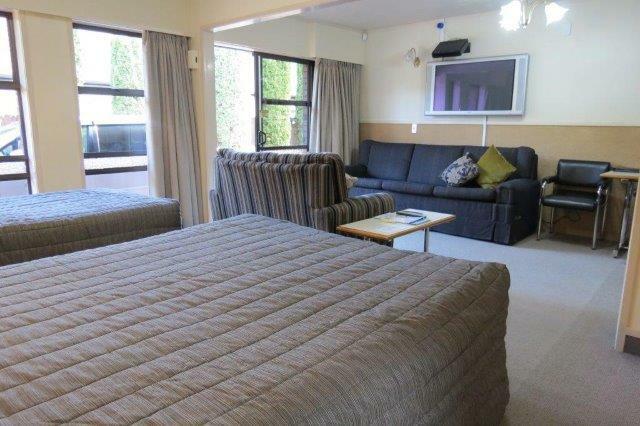 All units are back from the road, north facing with parking outside your unit. 42 inch plasma TV with own SKY decoder-enjoy over 50 digital sky channels with movies, news, documentaries and sport. These units are suitable for a couple plus two children – or three single adults. 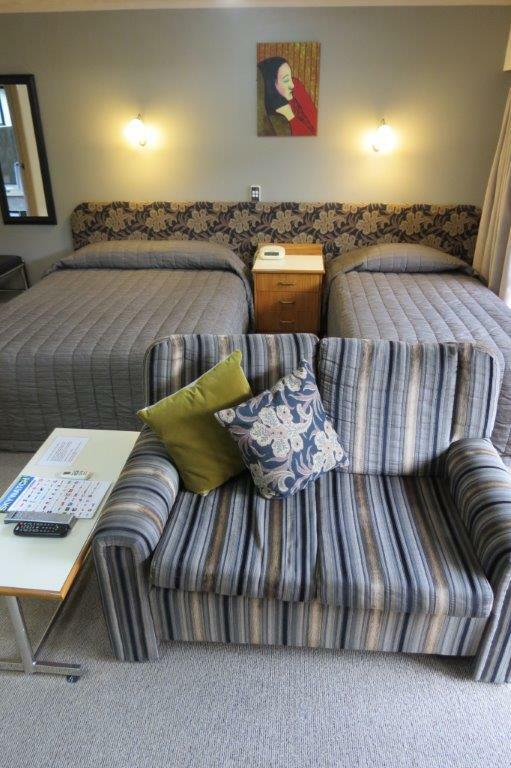 Comfortable Queen and single bed with double sofa so you can watch TV. Lounge with divan and 42 inch TV with your own SKY decoder with over 50 channels to choose from. 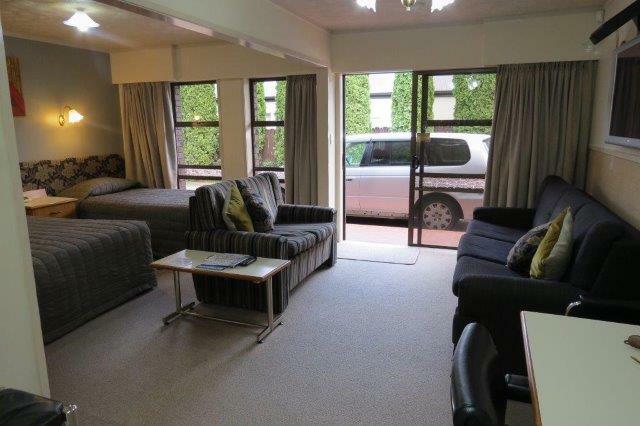 Spacious Family studio unit, large enough for the whole family! 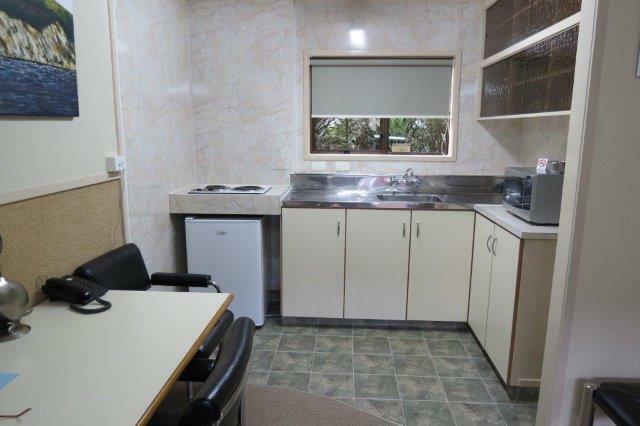 Clean and well equipped kitchen with microwave, fridge and hob.